When a sad snowman wants his carrot back he is willing to take some serious risks. Come and help frostie with his adventure by guiding through a variety of challenging levels. 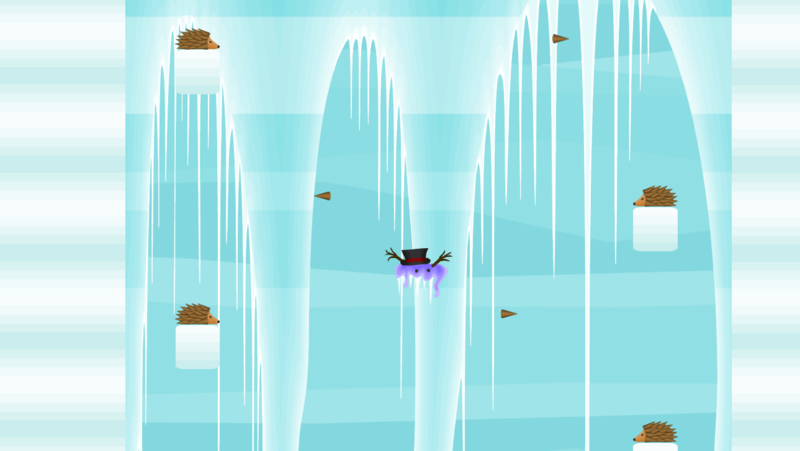 To do so you must throw your head, melt down, jump over all kind of danger and hide behind your self created ice blocks. So are you ready to explore this and much more ? 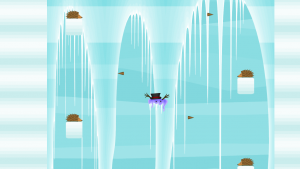 The game is a 2D hack and slay game using the Unity engine to bring the player into the bloody life of a penguin named Charly who has to travel from the Arctic to the Antarctic, crossing several other continents where he encounters waves of enemies he has to fight. One day Charly woke up in the arctic. Nobody knows why. Maybe he was kidnapped by cola drinking polarbears. He has to return to his family in Antarctica. On his journey he has to travel through several countries. It doesn’t take long time until he finds out, that the world is full of evil. So he takes an axe and slaughters his way back home. Project Chronos is a new and revolutionary 3D Puzzle Plattformer Game. 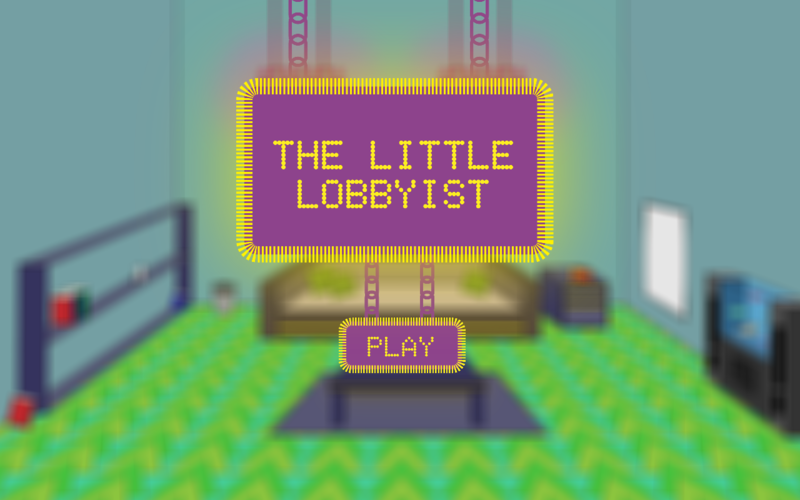 You play one of many Robots in an Underground Science Lab. You don’t know much about who you are or what is your purpose. The only thing you know for sure, you have to escape this creepy Lab. But the Lab is full of Dangerous Traps. For surviving this horror trip, you have 3 suits for you’re use. The suits are in different colors and have different abilities. You can change the color in a suit changer. 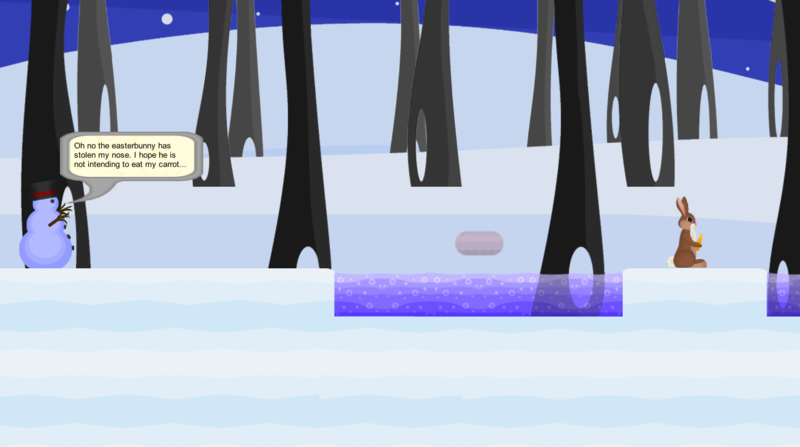 You have to solve riddles and overcome gorges, and use your abilities to survive. 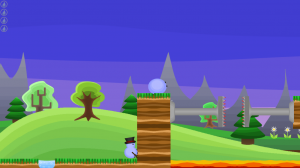 The levels are getting more difficult, from level to level. 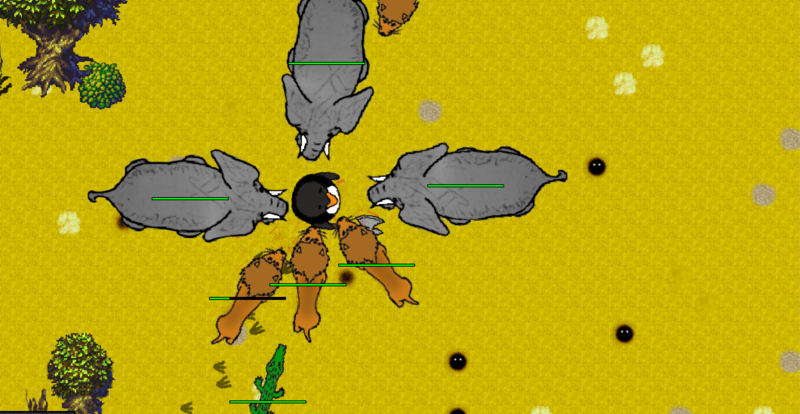 We have also implemented 4 tutorial levels to get you going with the controls. The game will be available for PC&MAC and later on HTML5. 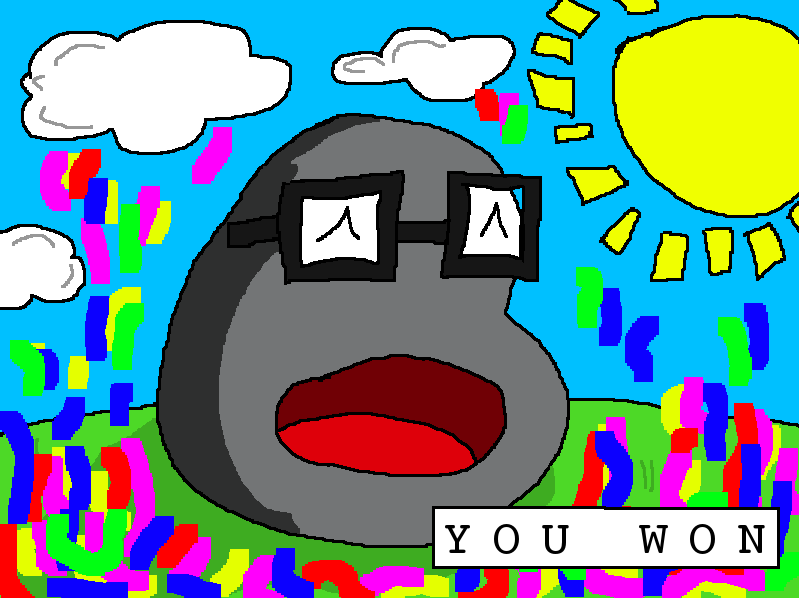 Have fun with our game. 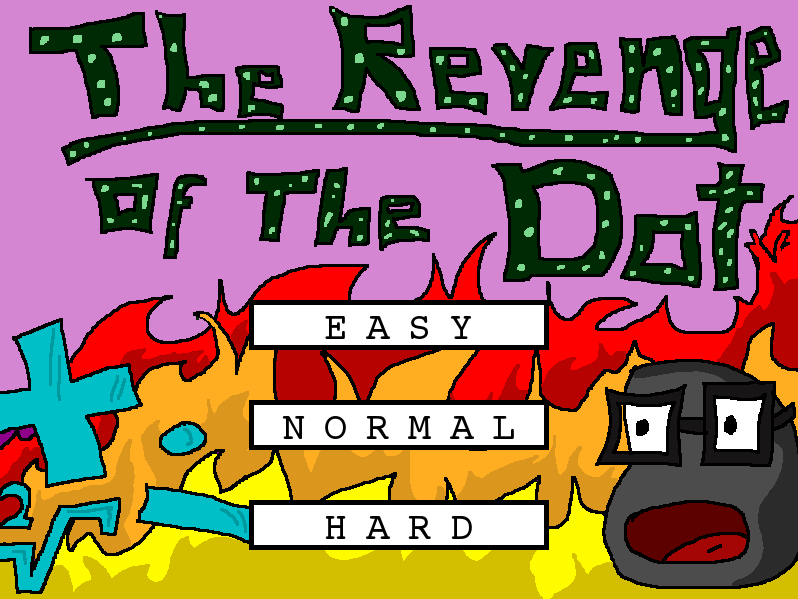 The Revenge Of The Dot is a fast-paced, multi-player arcade game with puzzle elements. 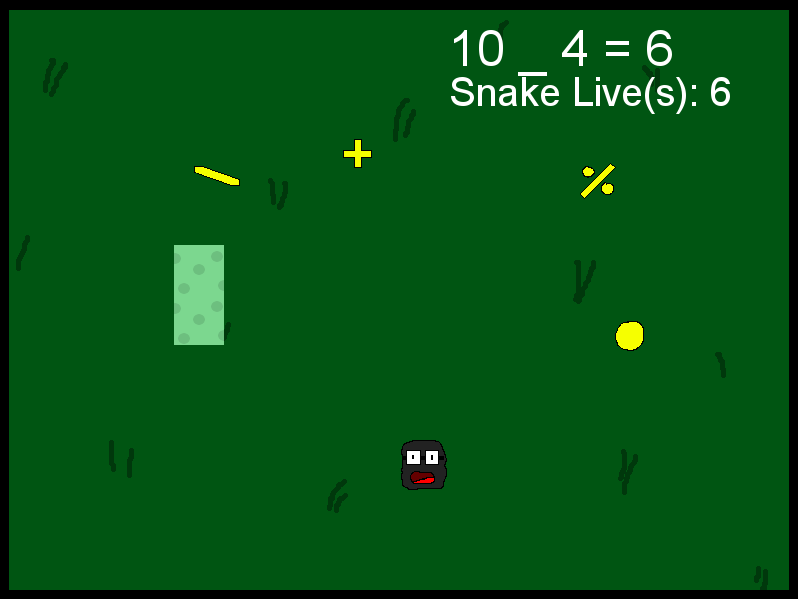 One player controls the snake (w/a/s/d) and tries to catch and eat the dot, which is controlled by the other player (up/down/left/right). 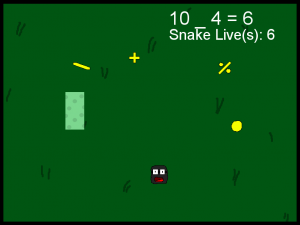 The goal of the dot-player is to defeat the snake via solving mathematical equations by collecting the correct mathematical symbols and/or by tricking the snake to run into the world’s boundary. 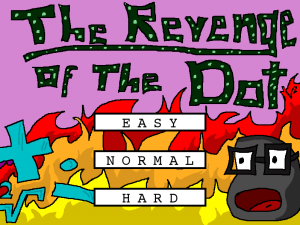 The difficulty levels (easy – hard) vary in speed of the game and the used arithmetic operations. 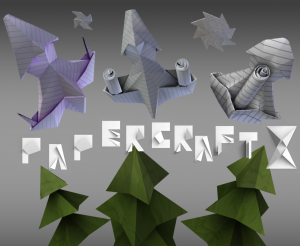 PapercraftX is a classical Shoot’em’up (“Shmup”) with vertical scrolling direction and fast paced gameplay! 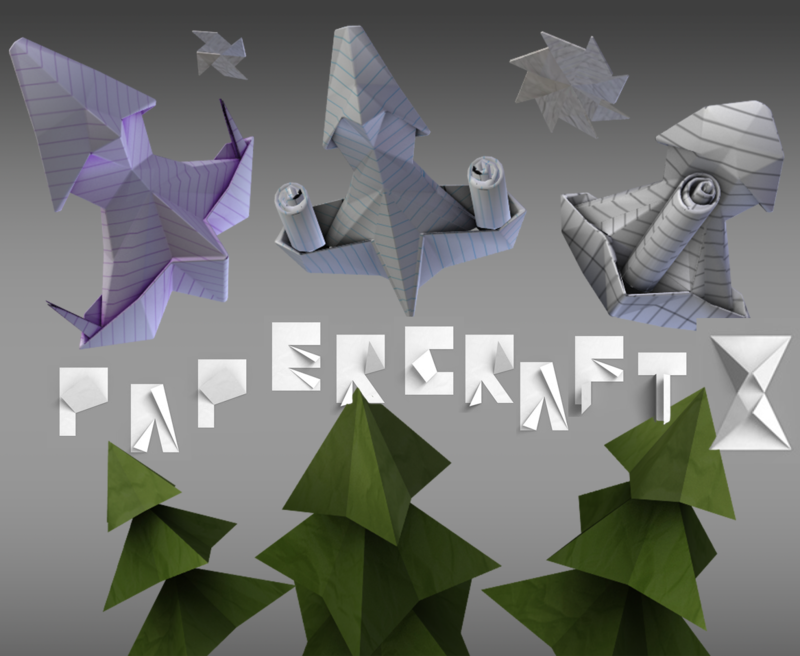 You control your paperplane/paperspaceship/paperwhatever and shoot bullets at enemies to destroy them, while evading enemy attacks. We utilized fully 3D graphics in a 2D gameplay, which proved to work quite well for this type of arcade-style game. 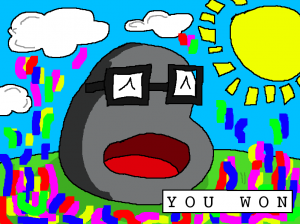 The goal of the game is to get as many points as possible before dying. 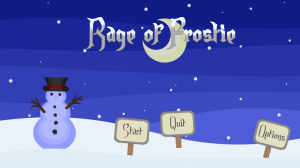 At this point the gameplay is purely highscore-focused and there’s no “winning the game”, the motivation to play again comes from the urge to either beat your own highscore or to beat the highscore of other players. For the visual design we decided on an origami look, everything you see should look like it has been crafted out of paper, even the bullets. 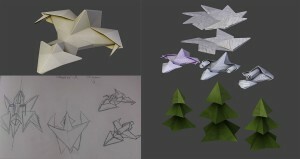 For the origami figures 3D models were created and paper textures applied to them. This enabled us to utilize simple forms but still maintain a polished look of the final assets. The simple forms proved of great value to not distract from the fast action gameplay mechanics while still looking good. 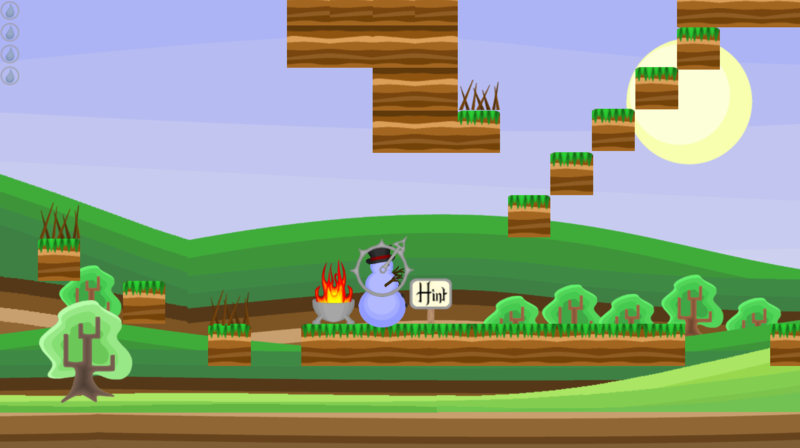 To separate the gameplay area visually from the background scenery, not only textured clouds and fog were used, but also the saturation of the textures was altered. 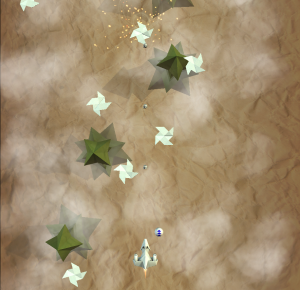 The player can choose between three different ships, which differentiate from each other in terms of movement speed, weapon power, firerate and health. These are only starting values though and by collecting upgrades one ship can surpass the others in a certain skill although it has the lowest value in that particular skill by default. 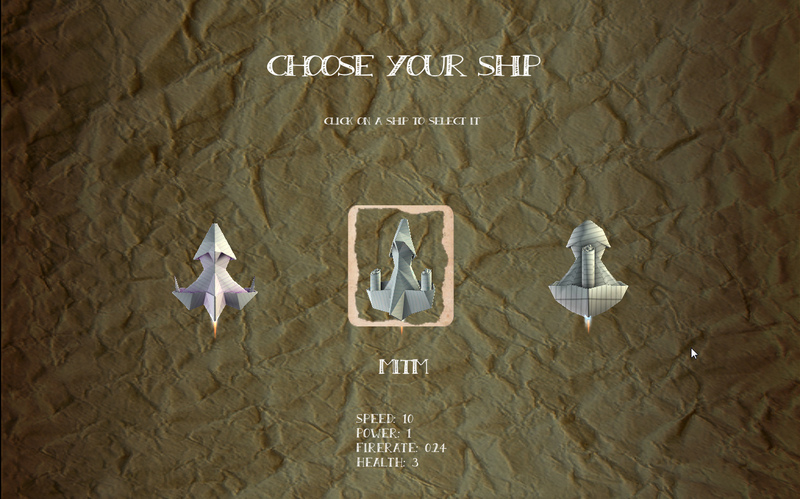 Each ship has a primary and secondary weapon, which are used by either left/right mouse button click or, when using a keyboard, the Ctrl/Alt-keys. 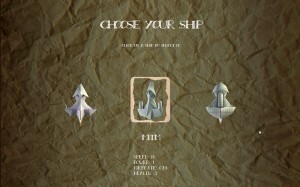 After the ship is selected the main game can begin. 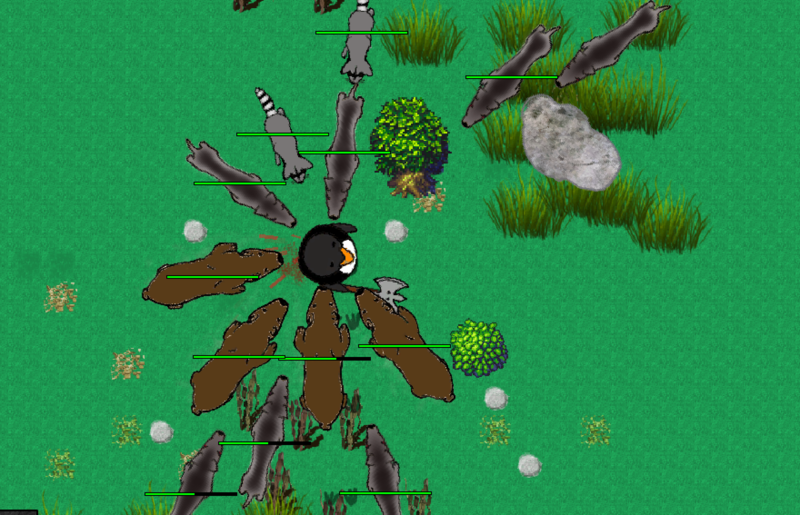 Pretty much immediately after the game is started the first wave of enemies appears and the gameplay begins. 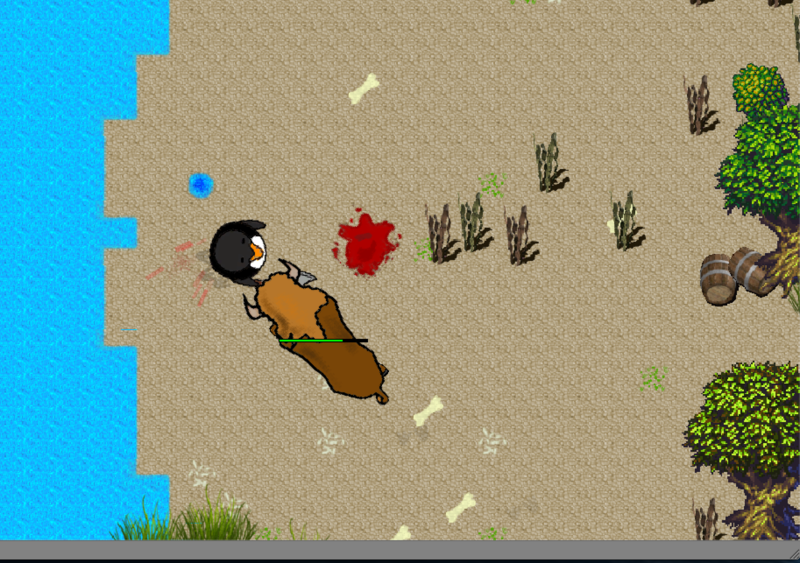 To stand a chance against the waves of enemies the player has to collect upgrades, which are spawned from killed enemies. Without collecting as many of these upgrades as possible it’s impossible to survive in the later parts of the game, when the enemies not only get stronger, but also faster and their numbers increase. There are different kinds of extras to collect: Upgrades, which increase one of the four basic stats (movement speed, firepower, firerate, health). 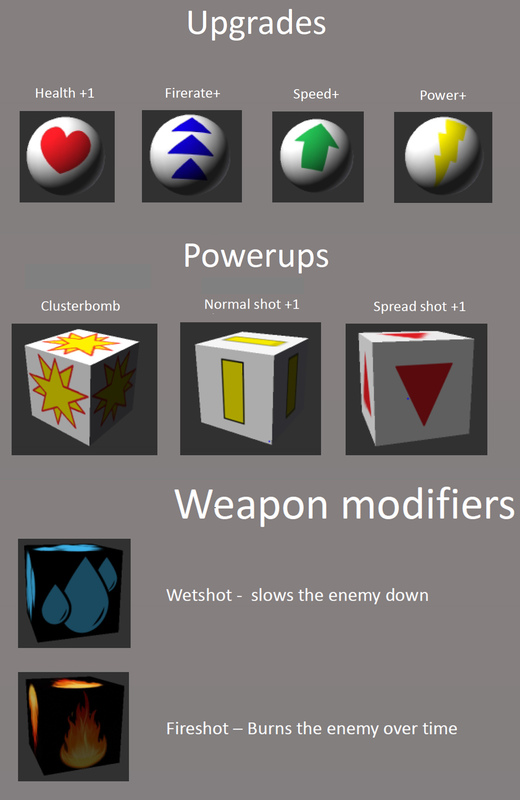 Then there are powerups, which can give you an additional clusterbomb (these are very limited and to be used with caution) or add an additional shot. This additional shot is fired simultaneously with your regular shots, in either an straight forward (“normal”) or a fan-shaped fashion (“spread”). 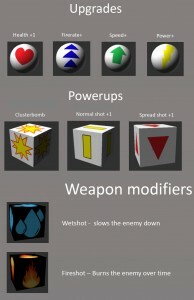 These powerups add single shots if you collect another one of the same kind, but they also replace your current powerup if you collect one of the other kind, effectively acting as downgrades if the player doesn’t pay attention to what he’s collecting. Last but not least there are modifiers, which can add a fire (enemies burn after being hit and take damage for 4 seconds) or a water (slows enemies down, because wet paper is apparently slower 😉 ) ability to your shots. We intend on continuing with development, adding new enemies, implementing touch controls for mobile, adding epic bosses and generally adding better graphics since all of the final assets were created during the last three days of the project. 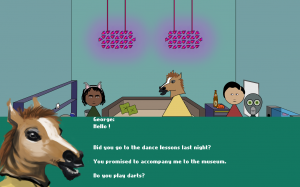 Overall project duration was two weeks, we relied heavily on an iteration based workflow utilizing placeholder graphics for the programmers to work with. 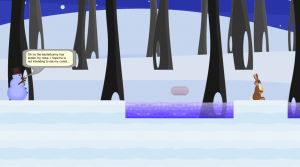 PThis game was created during Global Game Jam Graz 2015. There were only 48 hours to finish it and we had to think of a game suitable to the slogan “What do we do now”. 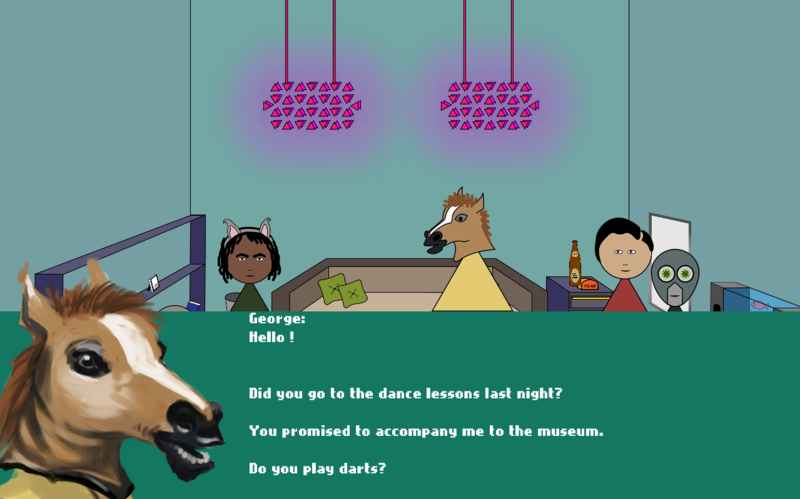 PLOT: You and your friends plan to go out this evening. You have an idea where you want to go and need to convince your friends to choose your favorite location. 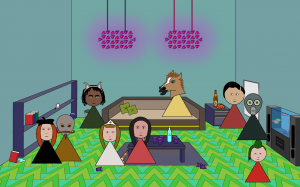 After meeting up and drinking some drinks the group decides where to go. You ask them: What do we do now? HOW TO PLAY: By engaging in dialogue, and mentioning certain topics to certain people, you try to influence the majority-decision of the group … But beware, each member of the group has her or his preferences – and influences other members of the group, as modeled by the underlying hidden social graph.